Neuropsychological assessment/testing is a process by which a person’s cognitive, psychological/emotional and behavioural functioning is comprehensively assessed. The focus is usually on cognitive functioning. This is accomplished via a detailed interview and standardised testing of areas relevant to the presenting problem. 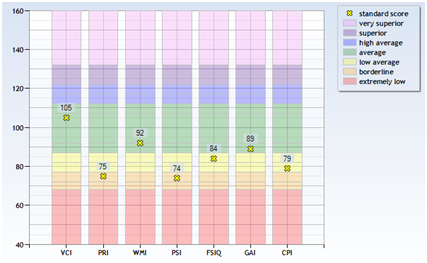 A person’s scores are compared to benchmarks (normative test data) and a profile is generated, which identifies areas of strength and weakness. Clinical Neuropsychologists have specialised training in interpreting neuropsychological profiles and identifying the root cause(s) of presenting problems. Certain conditions (e.g., Autism, Asperger's Disorder, Attention Deficit Hyperactivity Disorder (ADHD), Learning Disorders, Traumatic Brain Injury, Stroke, Dementia) are associated with particular neuropsychological profiles. A neuropsychological assessment conducted by a specialist clinical neuropsychologist can inform a new or corrected diagnosis, which can in turn shape the development of an appropriate treatment program. Significant resources can be saved with a correct diagnosis and appropriate treatment program. In addition to informing a diagnosis or treatment program, neuropsychological assessment can contribute to determinations about practical functional questions, such as whether or not a person is fit to drive a motor vehicle or return to work following an acquired brain injury. An understanding of a person’s cognitive strengths and weaknesses can contribute significantly to a vocational rehabilitation plan (i.e., suggest appropriate vocational pursuits). Neuropsychological assessment is the most sensitive method of determining the presence of dementia in it’s early stages. Serial (repeat) neuropsychological assessments can determine whether or not a person is declining in cognitive functioning and provide an opinion on the cause of the decline.